Congratulations! 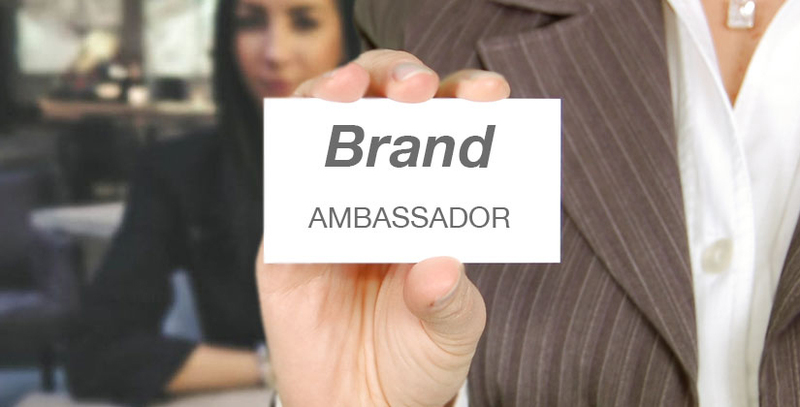 Your organization agrees that leveraging key employees as brand ambassadors will lead to better reach, credibility and engagement than your own company channels can achieve. Scenario planning, creating guidelines, training and selecting the right employees and the best content to share are the key considerations in designing and launching an Employee Ambassador program. Developing clear guidance: It goes without saying that you must get the buy-in of senior management – particularly because of its potential impact on corporate reputation. After their buy in, your next meeting will be with your legal/regulatory and medical team to create an issues preparedness plan and program guidelines. The development process may take several months to a year. But when completed, it will serve as the working guidebook for employee ambassadors and the internal team that manages the program. Issues preparedness: Working with your legal, medical, social media, communications and HR team, identify potentially negative scenarios and issues related to employees engaging in social media on your company’s behalf. Use these findings to develop a “Regulation Roadmap.” This roadmap will provide communications guidance and responses – including messages and social media copy aligned with Food & Drug Administration (FDA), Federal Trade Commission (FTC) and Health Insurance Portability and Accountability Act (HIPAA) regulations – for the most likely scenarios. Employee guidelines: Your employees need to abide by clearly articulated rules. The purpose of these rules is to influence employees’ content without telling them exactly what to say. Their content is liked and shared by others because they inject their own character and personality into posts. Guidelines should include background on the company and what it stands for, program goals, the brand voice, how to stay compliant with regulations, responsible social media strategies and how to handle questions on their posts. They should also include information about who to contact in case of a question or issue. Choosing the right employees: Recruiting employees to become advocates isn’t as difficult as you may think. You can start with enthusiastic employees who already share your company’s message. Or just ask for volunteers and triage the employees who opt in. 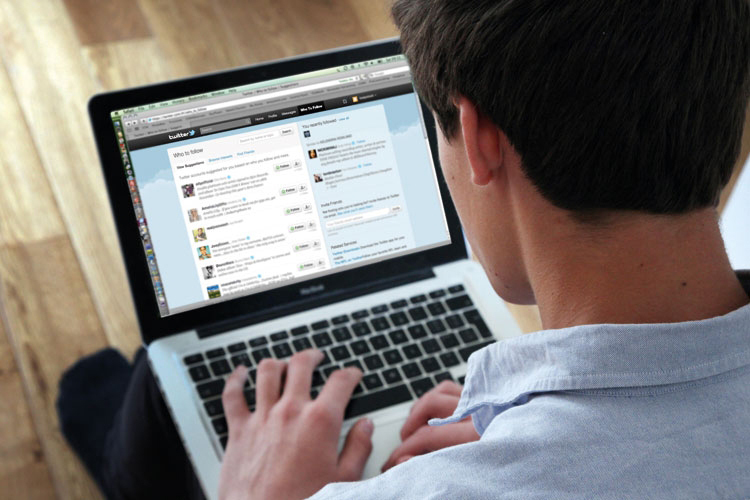 Prioritize those who have large online followings and an online voice consistent with that of your organization. No matter your method, you’ll need to audit their social media channels to identify any red flags or opportunities. The audit will also help inform your training program. Training: The employees who volunteer as ambassadors will probably be social media savvy. Still, you need to ensure they are savvy about the rules and expectations of your program, so we always recommend conducting a formal training program for all participants. Content: Employee ambassadors should be viewed by their followers as healthcare influencers, not as a mouthpiece for your company. Therefore, most of the content you provide should focus on general health and wellness; only a third to a half should be about your company. Before making content available, seek your employee ambassadors’ input on the type of content they like to share. The more relevant the content, the more likely they are to use it. Via the company intranet or another easily accessible online storage unit, curate a variety of approved articles, visuals and video they can easily share and continually encourage feedback. Health and wellness content may include tips, recipes, photos or infographics developed by your company for your own channels or by third parties. While expensive to produce, video and visuals are more frequently shared than articles, so try to include some in the mix. Keep content fresh by ensuring that future corporate initiatives and marketing programs include development of ambassador materials as part of the plan. Communicate with your ambassadors first about updates and changes, new products and other company news. Program reach: How many people did your ambassadors reach with company related content? How many posts contained the company hashtag? Traffic on company sites: Was there an increase in traffic on your owned and shared sites during the program? Ambassador engagement: What percent of employee ambassadors participated in the program and how frequently did they participate? Who were the most and least active ambassadors? Which ambassador’s posts had the most engagement (likes, comments, shares)? These metrics will help you understand how active your employees are and the type of content with the most engagement – information fundamental for continuing the program – and hopefully for the program’s continued success. The healthcare industry is governed by rules under a whole host of government agencies, including the Federal Trade Commission (FTC), Food & Drug Administration (FDA) and Health & Human Services (HHS). You’re already challenged with getting content approved for your brand or company’s own channels. Knowing the implications of a Health Insurance Portability and Accountability Act (HIPAA) violation or FTC misstep, why would you consider asking your employees to advocate for your company? Increased reach: Employees can reach patients in their social graph who might not be considering your brand – and might never seek out your website or social channels. Employees’ social media posts reach 561 percent further than the same posts shared by a company’s social and owned channels. Once that content is posted, it’s shared 4.5 more times than social influencer posts. Authenticity and credibility: Today’s health consumers shop for healthcare services the way they shop for other expensive purchases. Regardless of how healthcare evolves under the new Presidential administration, consumers will continue to have a lot more choice in who provides their healthcare. They are researching healthcare the way they do other services – seeking information online and soliciting the opinions of others. Half of all consumer buying decisions are influenced by word of mouth and according to one study, 92 percent of people trust recommendations from people they know. Engagement: Across all industries, consumers are increasingly less interested in what companies have to say, favoring instead the opinions of influencers and the people behind the brand. A study released last year by Altimeter Group found that 21 percent of consumers said they “liked” employee posts about companies — an engagement rate comparable to or better than other social advertising campaigns at a much lower cost. Addressing risks upfront and providing clear guidance to employees considerably mitigates risk: The biggest question is how to manage risk. And it should be. Once management buys into an employee ambassador plan, your first step will be partnering with your legal and medical team to anticipate possible negative scenarios and developing guidance on how to handle each one. You will need to make sure, for example, that programs comply with FTC regulations by having employees include a hashtag in all posts to make it clear that they are employees. You also will want to develop clear direction on adhering to HIPAA guidelines. Getting your employee ambassador program up and running will take some work. But once you create guidelines and identify and train employees, our hope is that you will find the benefits far outweigh the risks. If you’re a senior healthcare executive, you are probably either seriously considering or already implementing a retail healthcare strategy. According to a report by Accenture, more than 2,800 retail healthcare clinics will be open in 2017. 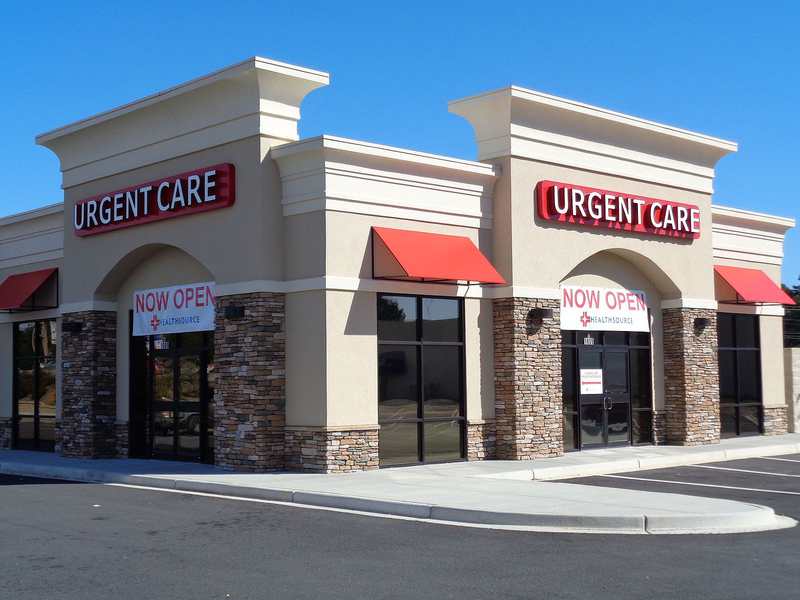 And no wonder – they offer consumers more convenient access to routine medical care with the same quality as emergency departments and ambulatory medical centers. Further, these stand-alone facilities are not only becoming more profitable for providers, they result in lower costs for payers – a win-win-win. These retail healthcare facilities have become so ubiquitous that some neighborhoods now house multiple clinics – sometimes on the same street – with the end result that consumers are beginning to view them as commodities, choosing a facility in similar ways to how they decide which “big box” store or retail mall to frequent. The implication for marketers? Your marketing strategies need to more closely emulate those of a retailer than a health system. Retail healthcare marketing is a sweet spot for SPRYTE Communications, which has the perspective of 25+ years in both the retail and healthcare industry. We have conceived and implemented high-impact communications campaigns that resulted in fast consumer uptake of new health facilities. At the same time, we have successfully established a new positioning for a key client as an attractive real estate provider in this space. Job one in developing a marketplace strategy is understanding the demographic and psychographic makeup of the target consumer. Once you have a deep understanding of your prospective patients and how they make decisions, consider these communications strategies to drive awareness and preference for your retail healthcare facility. Establish your clinic(s) as a trusted community healthcare resource by engaging consumers – well before they become patients – with education and outreach. That might mean engaging consumers through non-urgent care programs, such as annual wellness visits, employer-sponsored wellness programs or smoking cessation clinics. Consider partnerships with other retailers in the area. Drug store partnerships are a no-brainer. But also consider relationships with non-traditional partners, promoting back-to-school vaccinations with a children’s clothing retailer, for example, or nutrition and wellness education in partnership with a health club. Develop a year-long media outreach plan that, just like retailers, takes advantage of seasons, holidays and other important times of the year, when you can offer the community information and tips about their health. That includes cold and flu season, summer sun protection, back to school checkups and more. Your plan should include print and broadcast media, owned media – particularly your website and social channels. Make use of your happy and satisfied patients by asking them to mention their experience on their social media channels or community online groups. The value of a recommendation from a local resident can’t be underestimated. The key for an effective communications program is to be consistent over an extended period of time. Promotional activities can be highly effective for retail health clinics, so you need to ensure you are communicating with the local community at the key times of the year when consumers are making decisions. For those who have experienced a loss, the holidays can be a time of intense sadness. While others are celebrating, bereaved people can feel overwhelmed by memories of loved ones, avoiding festive gatherings or isolating themselves from friends and family. SPRYTE Communications’ client, a multi-regional hospice and homecare organization, saw the winter Holiday Season as an ideal time to implement a media relations campaign targeted to individuals dealing with what is too often dismissed as “the holiday blues.” The campaign goals were to educate the bereaved about what they were experiencing and to provide professional coping tips while establishing the hospice as a trusted provider. The campaign exemplifies what SPRYTE believes are the fundamentals of effective media relations programs – working within select timeframes, clearly communicating the significance of your topic, and adapting the message for your specific audiences. To help clients (and staff) remember these fundamentals, we created alliterative shorthand – what we call the Three T’s of Media Relations: Timing, Topic and Targeting. Timing: When you’re creating a media relations campaign around a specific holiday, there is a critical window of opportunity to launch it. Planning ahead is essential – even six months or more. We began developing our message and selecting our media targets in mid-August. This gave us time to work with our client’s spokespeople and fine-tune the pitch to the respective outlets. Topic: How to frame the topic is a second key media relations element. The narrative must be attention-grabbing and relevant to the season, the media being pitched and ultimately the end-user. SPRYTE worked closely with the hospice’s bereavement counselors in five service regions covering Philadelphia’s northern suburbs and seven counties in southern New Jersey to create a 10-point list of ways to help people cope with bereavement during the holidays. This list was included in a Letter to the Editor that was customized and bylined by each bereavement counselor. It included their hospice affiliations and a toll-free number readers could call for more information about bereavement counseling and support groups. Targeting: The third key element of a media relations campaign is targeting. We carefully researched primary media outlets, as well as relevant online influencers in each of the local markets. In cases where service regions abutted, extreme care was taken to ensure that each bereavement counselor’s message was distributed only within his or her respective region. Our media relations efforts generated more than 525,000 impressions during the limited window from Thanksgiving through New Year’s Day. The results included published Letters to the Editor, as well as articles resulting from interviews arranged with local editors and reporters. The published pieces included placements in eight key local newspapers and an independent story by a local reporter that was posted on three neighboring Patch.com sites in the Ocean County, NJ, area and was also published online by the national trade publication Hospice Times. The media relations campaign achieved its desired business goals of educating the general public about holiday bereavement during the holidays, establishing local hospice counselors as authoritative sources on the subject, and showcasing the hospice as a trusted provider and a caring and concerned member of its many local communities. Welcome to SPRYTE Insights, SPRYTE Communications’ new Blog, where we’ll offer advice and actionable recommendations for healthcare public relations. The practical guidance we’ll share comes from 25 years of experience helping healthcare clients achieve their business goals and our deep experience in a variety of other industries. It will also spring from our active involvement as members of healthcare marketing and communications associations. While we’ve always specialized in healthcare, we also have worked in the retail, manufacturing, financial, hospitality, arts & entertainment and consumer products industries. This broad insight helps us provide clients with different approaches to business challenges, which can be particularly advantageous in the increasingly competitive healthcare industry. We will be blogging about current topics in healthcare public relations and reporting from the many healthcare marketing and communications association conferences, meetings & webinars we attend. The goal is to keep you in the know about what professionals are concerned with, what advice they’re offering, and the evolving nature of healthcare communications – indeed, communications across the spectrum. Of course, since we’re driven everyday by the great results we get for our clients, from time to time SPRYTE Insights will shamelessly showcase our client work as examples of best-practice healthcare communications, and blog about successes in our five specialties: Media Relations, Reputation Management, Referral Marketing, Public Affairs and Digital Content & Social Marketing. We also hope to include insight from occasional guest bloggers drawn from the healthcare industry. SPRYTE Communications is a new force in healthcare public relations. We look forward to sharing our insights with you.